Deposits of 1/2 total or more are acceptible for orders of 600+ with the balance due before shipment. Orders of 599 or less require payment in full before start of production. 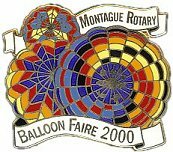 Discounts start 10% for quantities of 500 pieces. You can get free samples by purchasing up to 10 random pins of our past work at a cost of $1 for each. This charge is refunded in full on orders of 300+ pieces. You can then keep the pins for free. 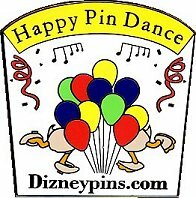 If you will not be ordering -simply return the pins for a full refund. Production of orders is started upon payment. We will make every attempt to expedite production and shipping but not at the expense of a possible inferior product. All orders will be shipped by USPS Priority mail unless Express mail is necessary for on time delivery. In some cases where business is slower or the design is very simple, we can waive a rush fee and deliver as quick as two weeks. We will save you money by shipping through the USPS. We utilize flat rate packaging whenever possible to send a more weight at a surprisingly low cost. Shipping cost will be more for International orders but we will not add any additional fee. You will pay only the actual cost or less. If Express shipping is necessary US Pin will pay this fee to get your order to you within the time frame specified at order date. Reorder minimums are for 100 pieces of a single design/product. If reordering items of mirrored designs like errings, collar pins, cuff links etc. then 50 pair will be the minimum. Standard is a military/butterfly clutch. Optional at no extra charge is a rubber clutch or safety pin attachment. Optional at a low cost is a deluxe ball clutch or tie-tac ball clutch & chain. If the pin will be worn on clothing, double clutches are recommended for pins 1-1/4″ or larger especially when the width is greater then the height. Double clutches will prevent the pin from turning and keep it more secure. A low order fee of $20 will be added to orders under 100 pieces of a single item. 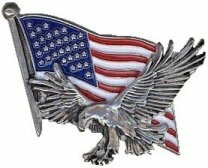 Besides pins other items available but not limited to are: earrings, necklaces, charms, money clips, tie bars, cufflinks, coins and just about anything utilizing a metal emblem. A minimum order is the same as our sample order of 2 pieces. The cost for the first item includes a die charge and under 100 low order fee. Pins over 1 inch are priced the same as the size. A quarter dollar per quarter inch of pin size. A single clutch included in price. Over 1″ of pin size, eEach 1/4″ is $.25 * 1″ pin is 1 dollar * 1-3/4″ pin is $1.75 * 2″ pin is $2 *1-1/8″ pin is $1.125 -etc. To order an pin over 2 inches, please contact us for a quote. Where is the best place to purchase the finest quality custom lapel pins at the lowest prices?